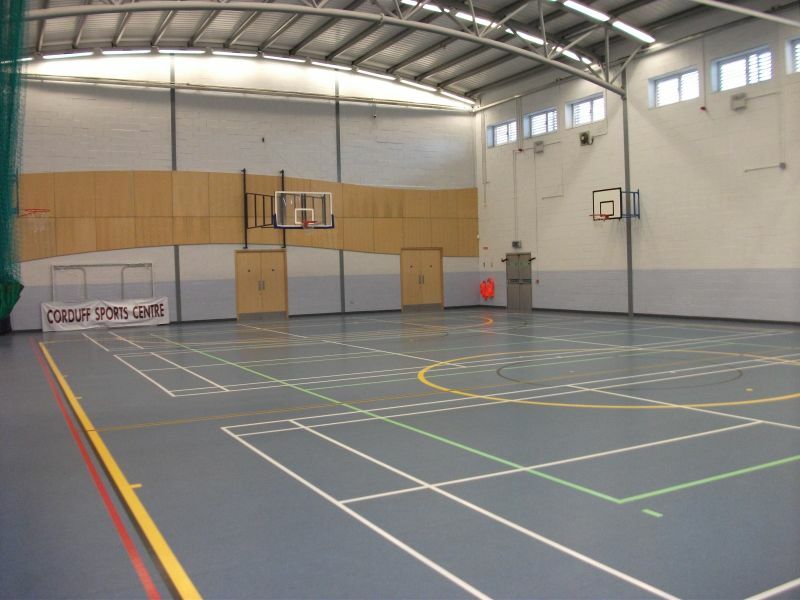 A Sports Hall – which includes an Olympic handball court, full size basketball court and Futsal Soccer markings. Four badminton courts, four volleyball courts. A friendly and open reception Area. 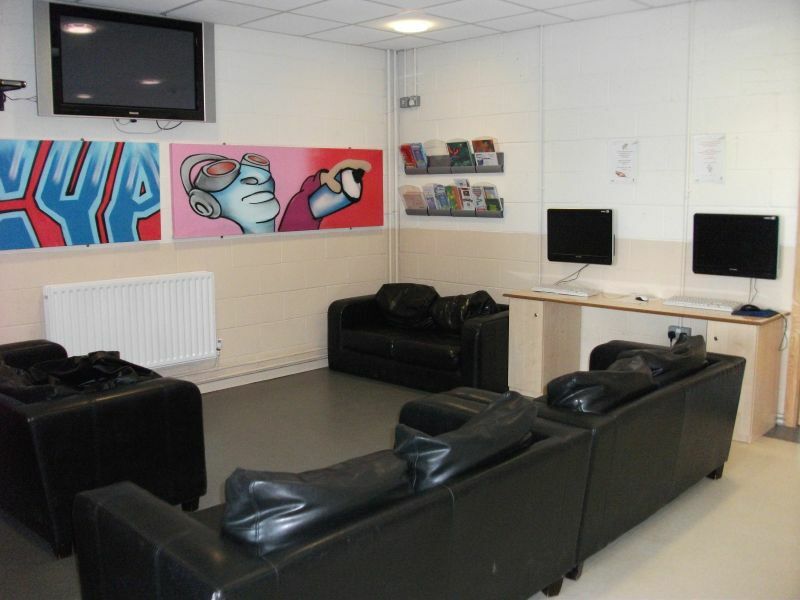 A Base office for the Corduff Community Youth Project with a refreshment youth Café area. Outdoor synthetic artificial surface which can be divided into three smaller 7 a side pitches. The Centre offers a uniqu e opportunity to adopt a genuine partnership approach with the local community and with voluntary and statutory agencies. There is also a complementarily with policy issues focussing on healthy living, participation in sports of all kinds, and the encouragement of physical activity as a primary healthcar e strategy. This facility support the efforts of the Corduff community and especially its young people to counter drug misuse, minimise anti-social activity, reduce obesity and enjoy a healthy lifestyle – currently all high priority and high profile themes across the national community. The centre, a new state of the art building, provides a base for the clubs currently operating in the area. The sport and activity leaders employed by the Centre, in addition to supporting existing clubs, will provide a programme of activities tailored to the sporting, health and fitness interests of targeted segments of the community. Through this process, it is anticipated that other new clubs and activity-based interest groups will be formed. Throughout the management and operation of the sports centre schools, clubs, youth projects, community groups and statutory and voluntary services work together to ensure that young people and children of all ages will participate in sport and games and learn new skills as part of a holistic approach to meeting their needs. An underpinning principle will be inclusively with very direct efforts made to ensure the participation of youth who may be at risk.